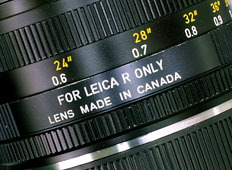 This is the Basic lense for Leica, the name of the Summicron doesn't represent the construction of the lense but its widest aperture. The photo shows different type of Summicrons, the left one was made in Canada (ELC) and the right one was made in Germany. There is a slight difference in coating, i.e., the Canada one doesn't have a coating of Magenta, however, it does have it but the proportion was slightly less than that of made in Germany. Other differences are 1) engraving and 2) paint but those are the minor issues. 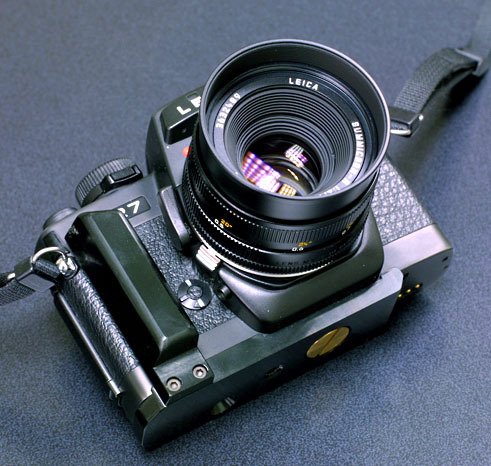 The R-Cam only lense was started to produce in ELC era, there are some lenses bear FOR LEICA R ONLY logo. 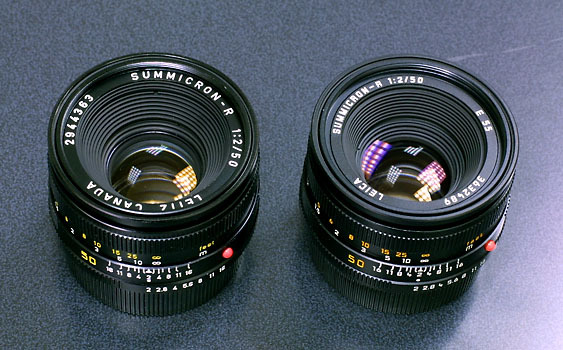 Although the name of the Summicron deliberately used as if its a lense of no-excuse, its bokeh would mildly melow into the background which is an outstanding feature of this lense.